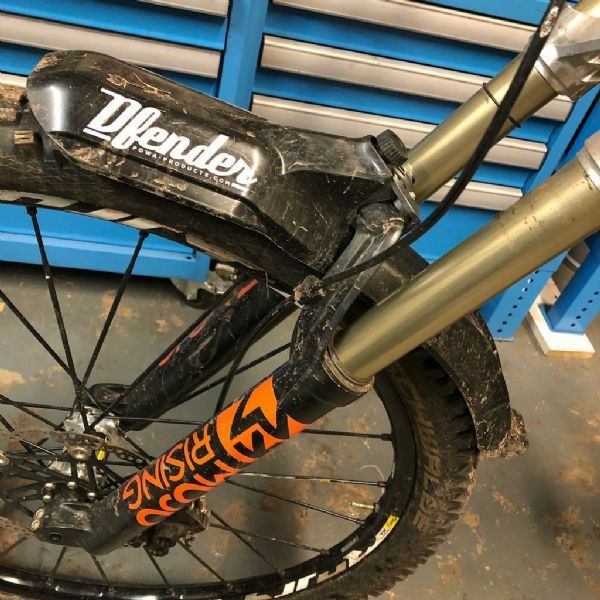 The Dfender guard has options to fit most F*x and RockShox Forks. The Rockshox option fits 26'' Boxxer, Revelation, Sektor, Pike and Lyrik forks. It also fits 27.5'' NON-BOOST Pike and Revelation forks. It does not fit 29er or Boost Rockshox forks. We are working on a new clamp for those! The Dfender mudguard is now supplied with decals or you can leave it plain black.